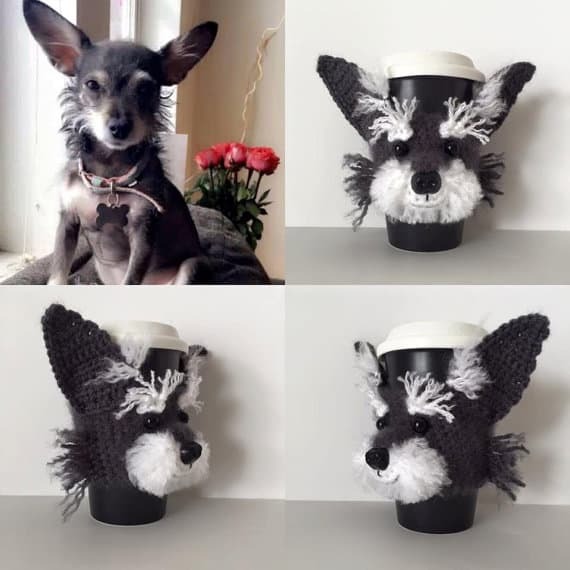 If you’re looking for a Crochet Dog Cozy, you are going to fall head over paws for these amazing versions that are super cute, easy to make and look grrreat! 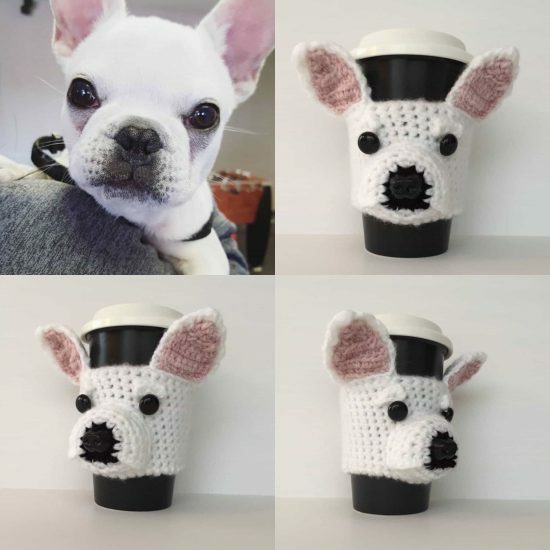 We are in love with these Crochet Dog Coffee Cozy creations. 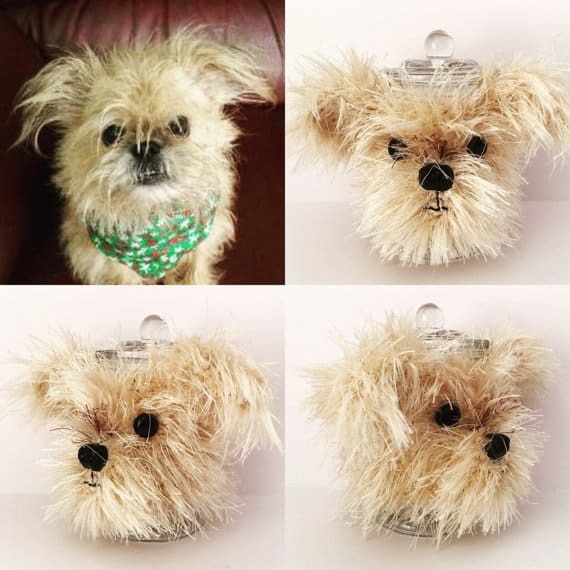 They look so lifelike and are the perfect gift for any pet loving friend. 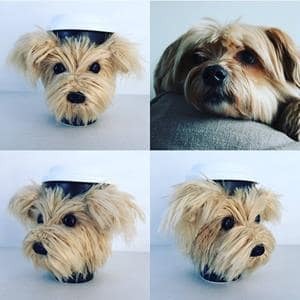 They’d also make a beautiful Pet Memorial for anyone who’s lost their four-legged friend. 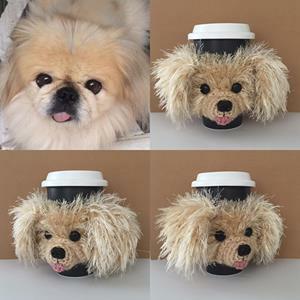 Hooked By Angel is the talented Creator and she’s totally passionate about her craft. 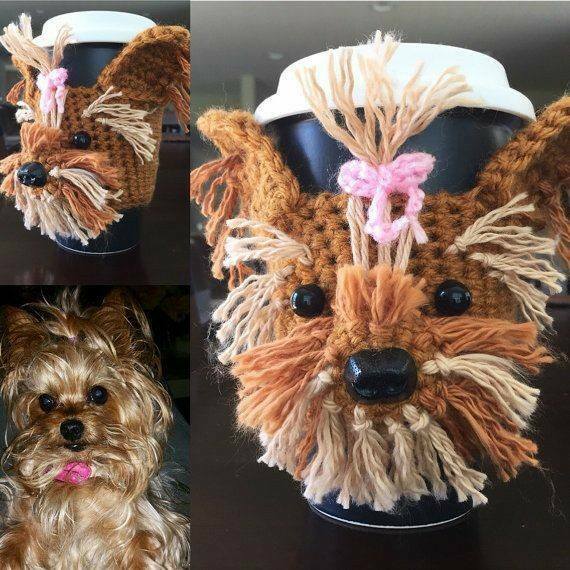 The Crochet Dog Coffee Cozy is designed to slide over your travel mug and it will stretch to fit most cup sizes. 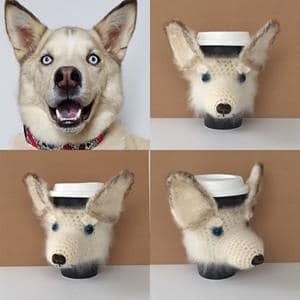 There are a couple of options when it comes to these Dog Mug Cozies. 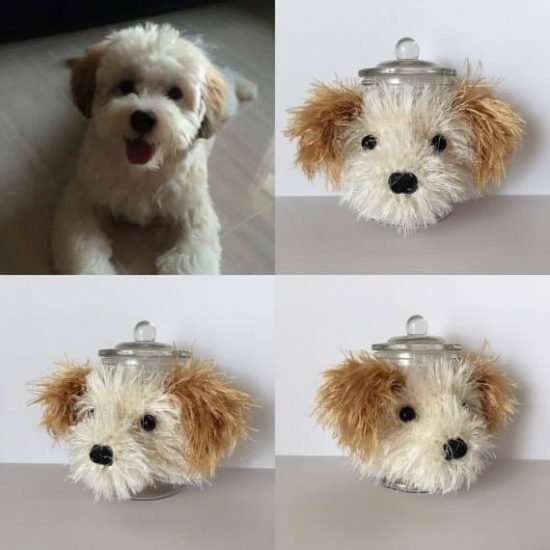 You can send a photo of your Dog to Angel and she will create a replica and send it to you. 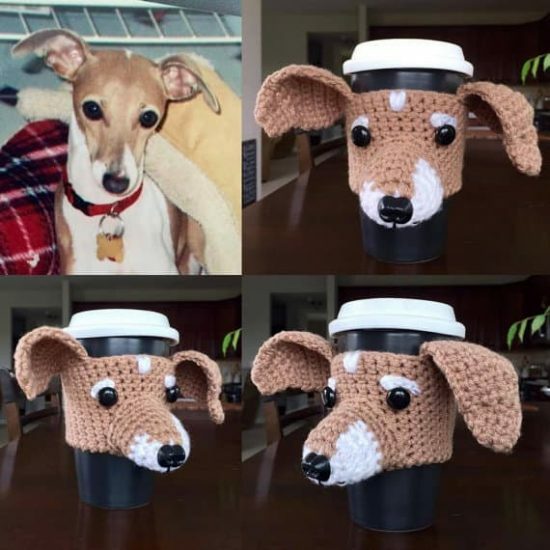 If you don’t crochet, this will be a great alternative for you. 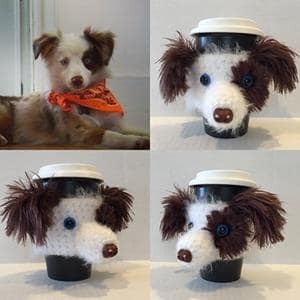 If you would like to give one as a gift, an Etsy gift certificate can be issued to the recipient too. 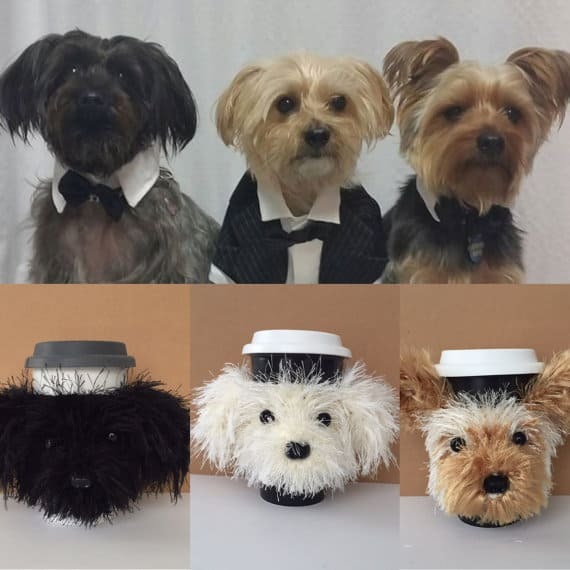 The patterns are personalized to include many different dog breeds including Yorkie Terrier, Dachshund, Basset Hound, Schnauzer, Golden Retriever, Shi Tzu, Miniature Greyhound, King Charles Cavalier Spaniel and also a Cat Mug Cozy Kit. 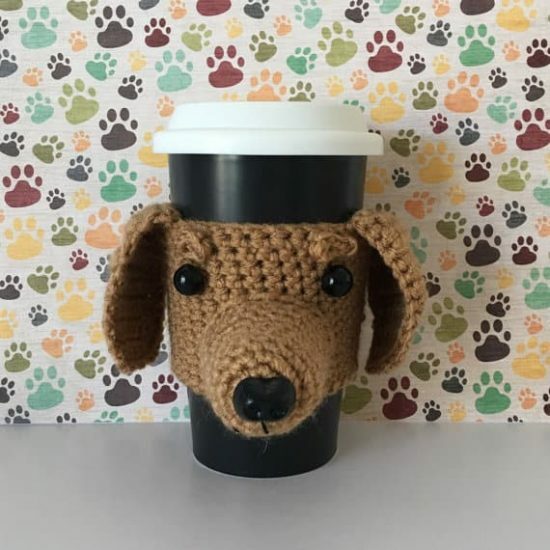 If you have a Dachshund you’ll simply have to make this cute Amigurumi Dachshund Crochet Pattern featured below. 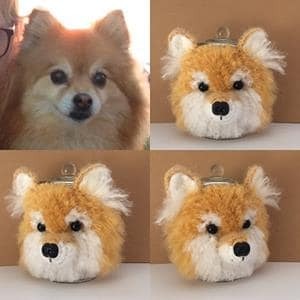 As you can see from the photos you’ll be able to adapt the colors of the yarn to suit your furbaby’s coloring. 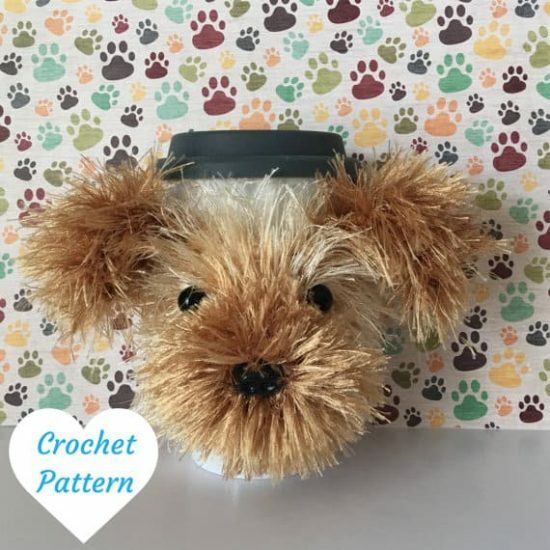 You don’t need to be an expert crocheter and the downloadable pattern includes lots of tips. 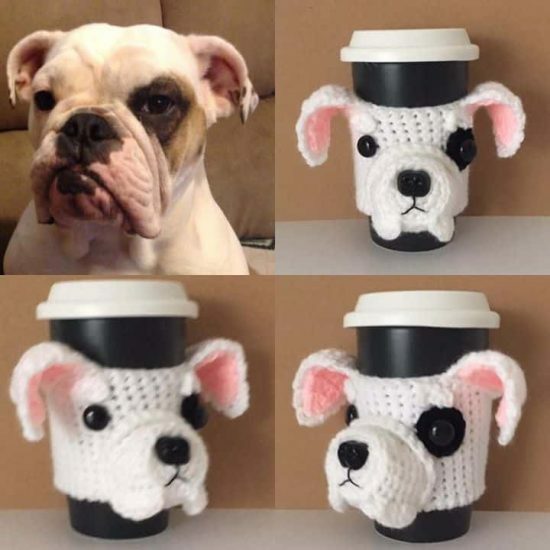 Each of the Dog Cozies shown can be purchased as a gift, or a downloadable pattern. 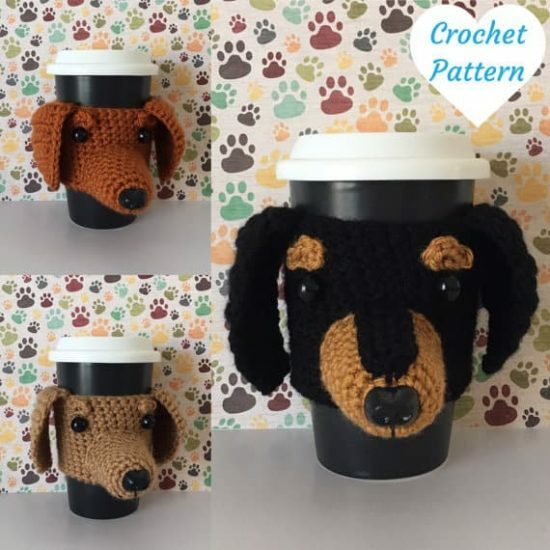 A full DIY Crochet Kit is also an option with each pattern. 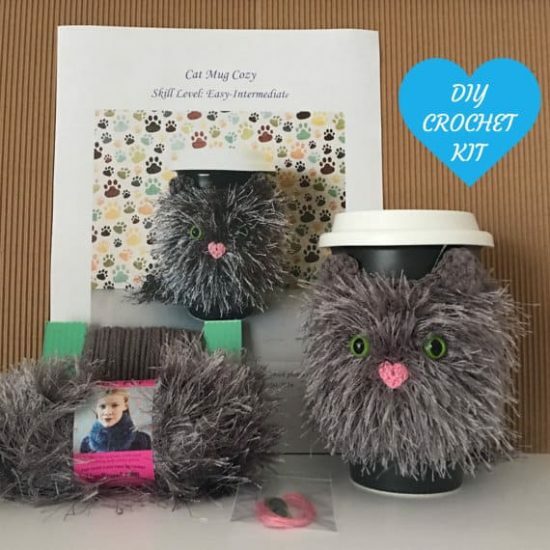 Any Cat Lover will think this Crochet Cat Mug Cozy looks absolutely Purrrfect! 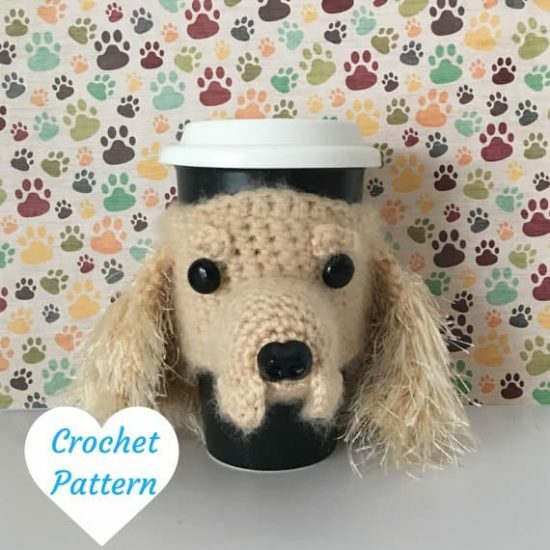 Again, the pattern requires just simple to intermediate crochet skills and is very easy to follow with lots of photos and instructions for each step.